Design the future of mobility with us! Develop highly automated and cooperative vehicles with us at DLR in numerous national and international projects together with the automotive industry and our research partners. Future vehicles are becoming increasingly automated through the development of complex software intelligence. Nevertheless, as a passenger, operator or road user from the immediate vicinity, humans continue to play a central role in the transport system. 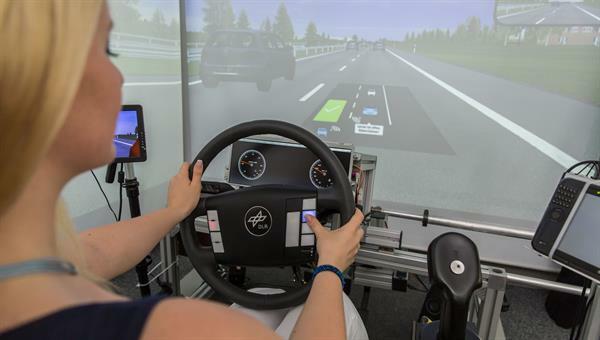 At the Institute of Transportation Systems, we are therefore researching and developing new approaches for the interaction between humans and future vehicles in order to enable a safe, intuitive and user-friendly interaction for humans. For the extension of our existing, interdisciplinary team, we are looking for computer scientist, or engineer with programming knowledge with a Master or Diploma degree for the design and development of HMI concepts. Your tasks include the research, development and implementation of concepts for novel HMI for assistance and automation systems for various vehicles (focus on automotive) as well as the development of software prototypes for DLR's own simulators and test vehicles. One focus of your work is the development of HMI concepts for the user on board and for road users in the vicinity of the automated vehicle. For this, you use existing hardware laboratories and develop new approaches in the areas of Virtual Reality (VR) and Augmented Reality (AR). You also support the laboratory managers of our usability lab in the maintenance and further development of existing software and hardware prototypes and development tools, especially in the direction of VR and AR. You work in a team on national and international research projects in an exciting area and present the obtained research results and prototypes at national and international events. Cutting-edge research in good company: our non-scientific employees achieve great things.